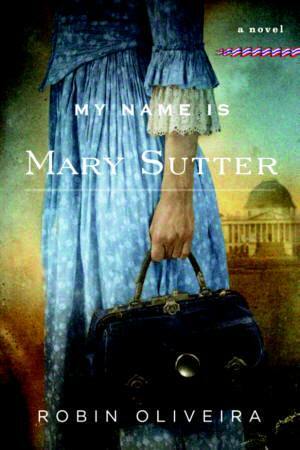 I am reading My Name is Mary Sutter by Robin Oliveira and I am really enjoying this book! It smacks of the wonderful writing I had enjoyed in The Kitchen House and The Lost Summer of Louisa May Alcott. For those lucky readers who are wondering what to pick up next, put this on your list. It's available now. In this stunning first novel, Mary Sutter is a brilliant, head­strong midwife from Albany, New York, who dreams of becoming a surgeon. Determined to overcome the prejudices against women in medicine-and eager to run away from her recent heartbreak- Mary leaves home and travels to Washington, D.C. to help tend the legions of Civil War wounded. Under the guidance of William Stipp and James Blevens-two surgeons who fall unwittingly in love with Mary's courage, will, and stubbornness in the face of suffering-and resisting her mother's pleas to return home to help with the birth of her twin sister's baby, Mary pursues her medical career in the desperately overwhelmed hospitals of the capital.